A street preacher in Arizona is fighting a jail sentence for holding private worship meetings at his home. Michael Salman says that he has been battling the City of Phoenix for years after code enforcement officials told him that if he was going to hold worship gatherings on his property, it would be considered an “occupancy” and must be subject to commercial code regulations. Salman hosts a weekly study with his family and friends in a building located in his back yard, which is on approximately an acre and a half of land, with an additional 3.2 acres behind it. He asserts that the meetings are private and not open to the general public. He said that the city responded by stating that religious worship cannot be considered as being private. Salman originally constructed the building as an accessory to his residence, and was labeled a game room. For as long as the building was being used as a game room, officials had no problem with it being classified as private, simply because it was for recreation and not religious purposes. He stated that two weeks after the family decided to move their worship services out of their home and into the building in their back yard, they were cited for violating the city’s zoning code. “We are not even allowed to have a Bible study in our living room without converting it to a church,” he told Christian News Network. The situation began in 2002, when a neighbor complained to officials that Salman and his wife Suzanne were holding religious meetings at their home. Salman said that he made changes to the house to comply with requirements as best as possible, but the city kept changing the code. He then moved his worship services to the accessory building, which he furnished with folding chairs and a pulpit. Salman explained that his family and friends all park on his property behind a gated area and not in the street. Approximately 10-15 cars drive onto his yard each week. “You can’t even see the cars,” he said. When the city continued to press the matter, and would not listen to his contentions that the facility was only for private use, he sought relief through the state court. The court refused to hear the case, remarking that the situation should be handled locally. Salman then attempted to file a federal lawsuit, but District Judge James A. Tielborg dismissed the case, claiming that he could not file yet as the state courts were still handling the matter. Salman then refiled when the state ruling was completed, but his challenge was again dismissed. Tielborg is purportedly an outspoken evangelical Christian. The case has now been appealed to the 9th Circuit Court of Appeals as one of Salman’s last chances to obtain an injunction against the City of Phoenix. He says that the city has continued to cite his property as a “safety concern” because of the number of friends and family that gather, which reportedly are between 40-50 people. “We’ve [asked] the City of Phoenix, ‘How many people can we have?’ and their reply is if you have more than two people, you’re breaking the law,” Salman explained. The city further advised that Salman must facilitate handicapped parking at his home, along with a handicapped bathroom, although none of this family and friends are handicapped. In 2010, the city officially pressed criminal charges against Salman. Due to exhaustion of all legal remedies, he was forced to self-surrender to the Maricopa County Jail on June 17th, 2012, which was to be followed by probation. Salman and his wife recorded a video just before he reported to jail to explain the situation and to express the couple’s frustration with Phoenix officials. However, after arriving at the Maricopa County Jail, because of a technicality in that computers at the facility were not recognizing the code that he had purportedly violated, he was released three hours later. This past Thursday, City Judge Sally Gaines rescheduled Salman’s sentence for July 9th. Assistant City Prosecutor John Tutelman, who characterized Salman as a “rebel,” also asked the court to revoke his probation and convert it into a 2 1/2 year jail sentence since he continues to hold worship gatherings on his property despite court orders. Unless a federal court intervenes, Salman will be forced to serve time in jail beginning next month. His probation revocation hearing is set for late July. An explanatory video was uploaded following his return from court. 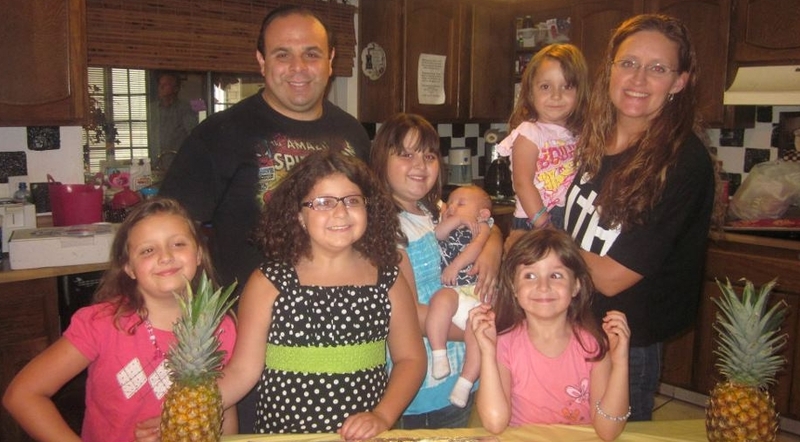 Salman is a father of six and also operates Mighty Mike’s Burgers, as well as a credit card processing company. He says that the criminal proceedings have taken a toll on him and his family. Nonetheless, Salman states that he is going to continue to fight.